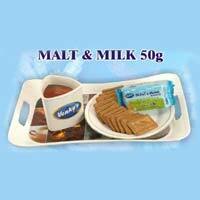 We bring forth tasty and healthy Malt N Milk Biscuits that are in high demand everywhere. 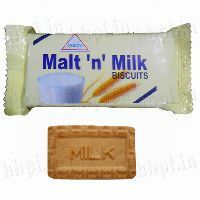 The Malt N Milk Biscuits have the goodness of milk and flavor of cream. 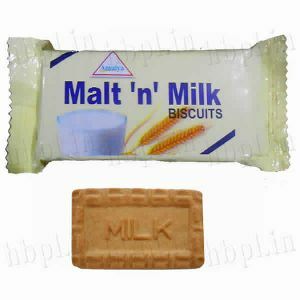 The Malt N Milk Biscuits are rich in energy and a great source of health & nourishment for everyone, especially kids. 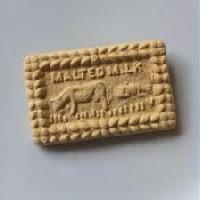 Malt N Milk Biscuits, which we offer, are rich in protein and calcium. 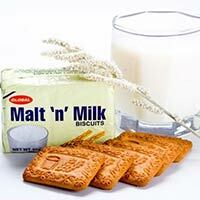 DPure offers tasty and crispy Malt N Milk Biscuits that are made up of fresh and pure ingredients. 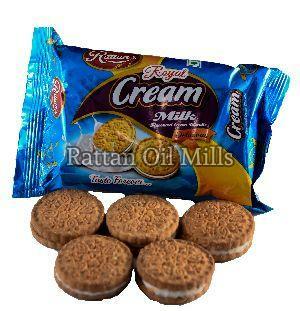 In fact, these are thoroughly tested and ensured at our manufacturing unit on several industry set parameters. 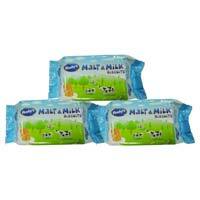 Some flavours and healthy ingredients are added to make it tasty and nutritious too. 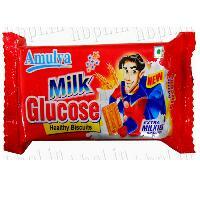 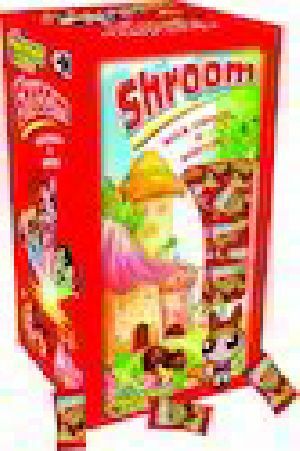 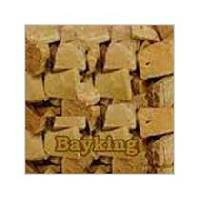 Amulya Malt and Milk Biscuits very special biscuits with good taste and appearance. 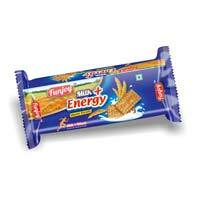 Healthy and Energy milk biscuits. 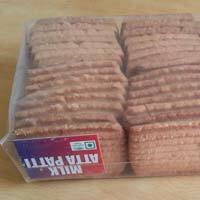 Rectangular shape and light brown colour biscuits. 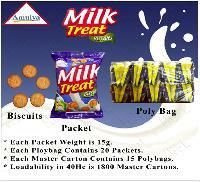 Packing : Milk Biscuits are packed in colourful wrapper as single pack.Each pack weighs 60 grams, such 120 packets arranged in a carton box. 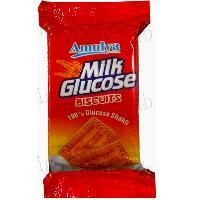 Goodness of milk added in a biscuit and perfectly baked to give strength and add to health. 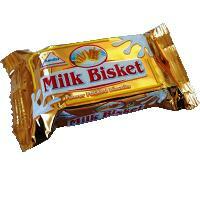 Unwrap and make merry without a worry. 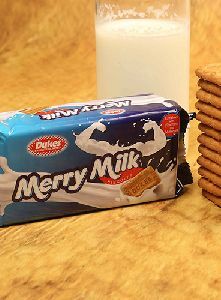 Merry Milk is every kid’s all time favourite. 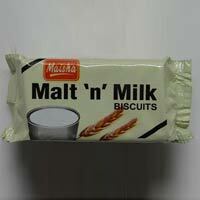 Take one and there there’s no stopping the fun. 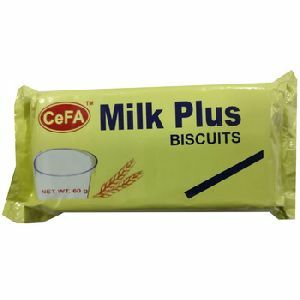 Available in three sensational flavours, our Puff Biscuits are made using best layer of delicacy, which we’ve lovingly spread in between sandwich. 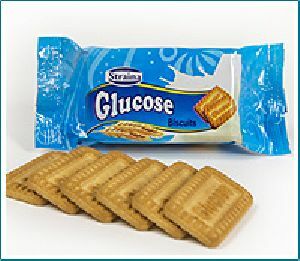 Every single biscuit is surrounded by the flavour you pick; either choco vanilla, lemon or strawberry for double indulgence. 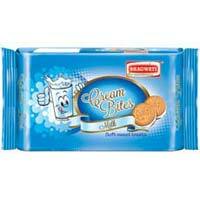 Our Puff Biscuits will surely sweeten up your day! 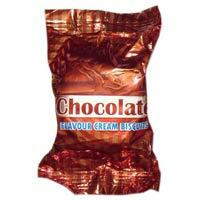 Available in pack sizes of 50g & 100g. 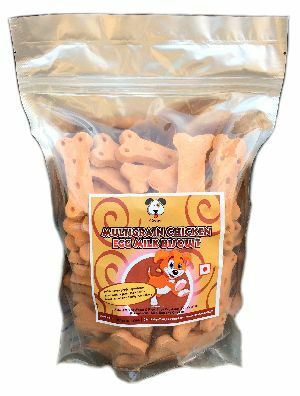 What better way to reward your dog's love than with great-tasting Milk and Cheese Biscuits. 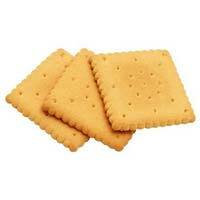 Milk and Cheese Biscuits fortified with vitamins and minerals thus, helps keep your dog's teeth clean. 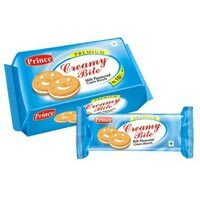 These Milk and Cheese Biscuits are specially hand made with garlic and other seasonal vegetables, which are baked at low temperature. 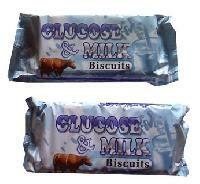 These biscuits are available in 1Kg, 5 Kg and 20 Kg packing. 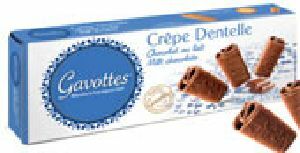 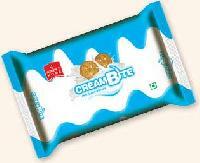 We are one of the most promising manufacturers of creamy bite biscuits in all over the globe. 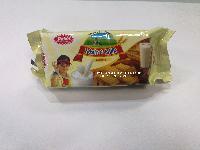 The biscuits served by us, are available in various flavors. 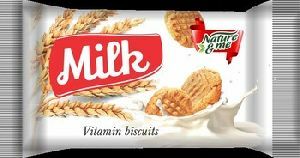 We have acquired quality ingredients from renowned vendors to manufacture healthy and nutritious biscuits for our customers.